Won’t you come & pat my wings. Co-Curricular activities play a very crucial role in enhancing kids overall personality, developing self confidence and specialized skills improvement in academic performance and foster sense of responsibility in them. 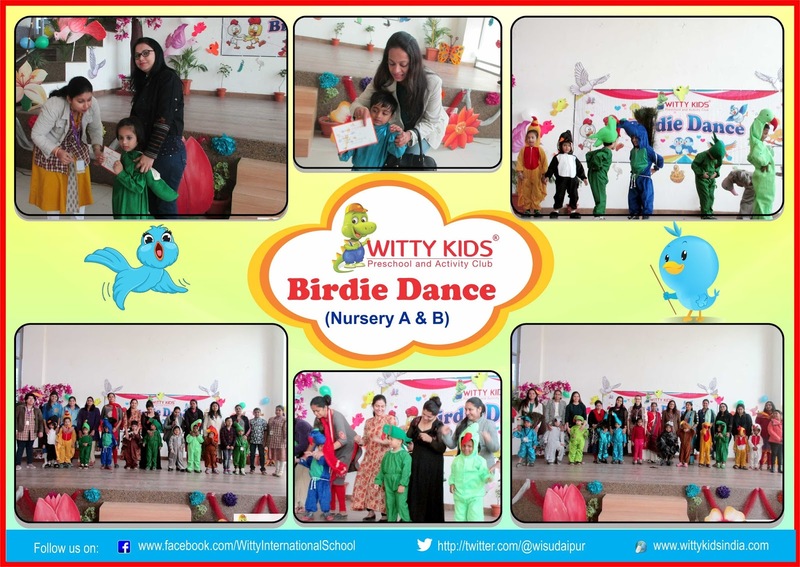 Today, on Saturday 27th January 2018 little toddlers of Nursery at Witty International School, Udaipur enacted and performed a Birdie dance. They came dressed in different types of bird’s costumes such as Pigeon, Parrot, Peacock, Crow, Cuckoo etc. Today was a very enthusiastic day for parents and children of Nursery class. 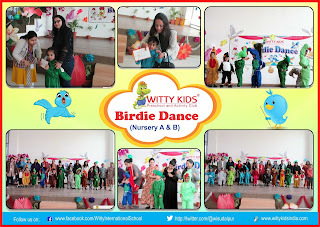 The little Birdie dancers captured the gaze of the parents as they performed. The parents and children had a great time enjoying the event together.